Not How I'd Planned Things to Go: A & B's Birth Story | How Do You Do It? Sadly, we have no control over certain things. I can defineitly relate to your difficulty dealing with the ‘change in plans’. I guess we really have to listen to the cliches sometimes. “Enjoy every second of it” is something I tell all my pregnant friends, now, as it’s something I won’t get to experience ever again, and I loved feeling my little ones inside my belly until the very end (not that I ever took a second for granted, but I just truly miss it!) I want others deep in the experience to hit the brakes, slow down, sit back and enjoy all the little wonders pregnancy because it is over all too soon! I have so many of the same feelings towards my daughters’ birth. I realized that I had to grieve the birth we didn’t get to share as a loss in its own right even as I was celebrating the arrival of my daughters. That mommy guilt starts early, doesn’t it? Thank you so much for sharing your story. There’s this great TED talk where the speaker says, “There is no harder. There’s just hard.” It’s not about whether mom with micro preemies have it harder or 10 days in the NICU is less than 67. Hard is hard, and A and B’s birth was hard. Sweet Mandy. Thank you for sharing your story. It was a brave and courageous thing to put it all down on paper. I appreciate your vulnerability of sharing your pain here. WIth NICU time there’s much to grieve, because it’s not the warm-snuggly-cuddling-my-babies experience you dreamed in your head—it’s okay to grieve expectations, and to grieve your hopes and dreams of what you had envisioned. I still have sad moments sometimes, especially when we have to go back to that same hospital to see Hadley’s pulmonologist. Lately I’ve been trying to own my feelings, and, rather than apologize for them, because they might not make sense to everyone, I’ve been trying to just sit with them, and process them. I’m proud of you for owning the grief, along with the very great joy that A & B are in your life. Thank you for this honest post. 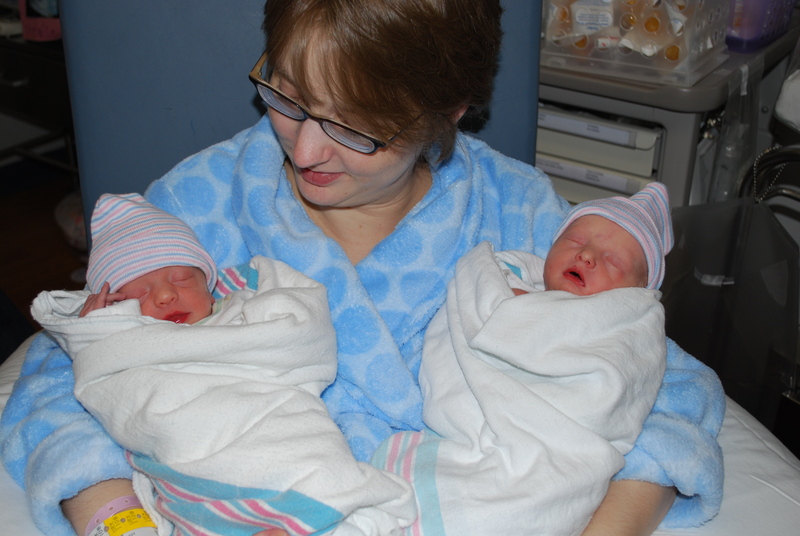 When I think of the birth of my (healthy, 38-week) twins, I feel nothing but anger and sadness. It’s been a year, I really need to let it go. But birth is a huge moment for the mother, and I think it’s appropriate to recognize that it can be traumatic for a variety of reasons. Of course the babies’ lives and health are the most important things – but the mother matters too. Thank you all for reading and for helping me to justify these feelings. It’s a bit surreal…almost five years in, and never having shared this…but I am deeply appreciative of your words.